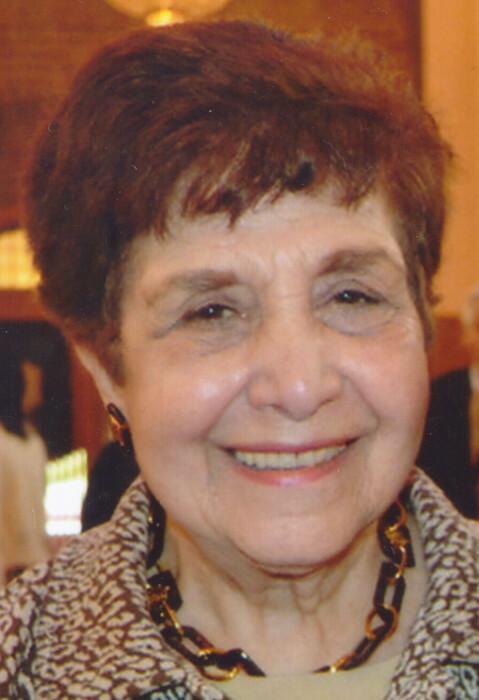 Obituary for Ann Avedisian | Nardolillo Funeral Home, Inc.
of North Providence, passed away on Friday, September 7, 2018 at Philip Hulitar Hospice Inpatient Center in Providence. Born in Providence, she was the beloved daughter of the late Israel and Siranoosh “Sarah” (Alamian) Avedisian. Ann worked at Cross Insurance and for Starkweather & Shepley Insurance Company. She attended the University of RI Extension taking insurance classes; and was a past member of RI Insurance Women’s Association. She was a member of Sts. Sahag & Mesrob Armenian Apostolic Church; Armenian Assembly; Armenian Students Association; and was a supporter of St. Nersess Armenian Seminary. Ann was very devoted to her family and will be remembered as a very caring and loving person. She was the dear sister of the late Anthony Zee Avedisian and Susan Avedisian; loving aunt of Karen A. Maranian and her husband Arthur of Stoneham, MA, Anthony I. Avedisian and his wife Christine of Franklin, MA and the late Kenneth J. Avedisian and his wife Jackie of Manasota Key, FL; loving great-aunt of Jeffrey Avedisian and his wife Alexandra, Julie Everliegh and her husband Andrew, Sarah Polomski and her husband Paul, Brian Maranian and his wife Julie, Lisa Tillis and her husband James and Crystal and Kenneth Avedisian; and loving great great-aunt of Christian, Alexis, James, Ani, Natalia, Robert, Luke and Anthony. VISITING HOURS are WEDNESDAY MORNING from 10 a.m. to 11 a.m. in STS. SAHAG & MESROB ARMENIAN APOSTOLIC CHURCH, with a FUNERAL SERVICE at 11 a.m., followed by burial at North Burial Ground, Providence. In lieu of flowers, memorial contributions may be made to: Sts. Sahag & Mesrob Church, 70 Jefferson St., Providence, RI 02908.